The principal legislation affecting the governance of listed companies is the Companies Act, 1963 (Act 179), (the Companies Act). The Companies Act includes general provisions relating to the organisational framework of all companies, both public and private, as well as special provisions for public companies only, relating to invitations to the public for the acquisition or disposal of listed securities, standards for financial reporting, procedures for appointing directors, etc. Apart from the Companies Act, other relevant legislation that affects the governance of listed companies includes the Securities Industry Act, 2016 (Act 929) and the Securities and Exchange Commission Regulations, 2003 (LI 1728), which regulate public invitations for and trading in listed securities, as well as disclosure obligations and financial reporting standards for listed companies. The Listing Rules of the Ghana Stock Exchange (the Listing Rules), the Code on Takeovers and Mergers (the Takeover Code) issued by the Securities and Exchange Commission (SEC) and the SEC’s Code of Best Practices on Corporate Governance (the Corporate Governance Code) are also key to the governance regime of listed companies. The Listing Rules is a comprehensive rulebook that sets out various rules and guidelines on the governance of companies listed on the Ghana Stock Exchange (GSE). It prescribes mandatory disclosure obligations for issuers of listed securities, rules on board governance and practices and protections in respect of shareholders’ rights. The Takeover Code regulates takeovers and mergers by, between or affecting public companies. The Corporate Governance Code contains principles, guidelines and recommendations for ensuring the effective governance of listed companies. Sector-specific legislation, such as the Banks and Specialised Deposit Taking Institutions Act, 2016 (Act 930), the Insurance Act, 2006 (Act 724) and their respective Regulations also contain important provisions that affect listed companies operating within the relevant sectors, particularly, in relation to board composition and governance. The SEC, together with the GSE and the Registrar of Companies, bear the primary responsibility for overseeing the listed company regime in Ghana. However, there are other supervisory bodies (such as the Bank of Ghana, for the banking sector and the National Insurance Commission, for the insurance industry) that regulate listed companies operating in specific sectors of the economy. The SEC is empowered under its enabling law to impose administrative penalties for non-compliance with its codes, directives, guidelines and circulars. With respect to instances of non-compliance that also constitute criminal offences, prosecutorial powers are administered by the Attorney General, who may authorise the SEC to prosecute such offences on his or her behalf. The GSE enforces compliance with its rules through sanctions, such as suspension or delisting of listed companies. A listed company may be suspended from the exchange or its securities delisted for non-compliance with the GSE’s rules on disclosure and its policy on quality management of listed companies. Where a listed company has disposed of its principal assets or discontinued a significant portion of its operations without shareholder approval, or persistently failed to comply with GSE and SEC rules and directives, it could also be suspended or delisted. The Registrar of Companies is also authorised, under the Companies Act, to impose penalties on companies in respect of breaches of the mandatory provisions of the Companies Act, and by so doing, ensure compliance with the Companies Act. The Registrar of Companies may also go to court to compel compliance with the requirements of the Companies Act. The corporate governance regime for listed companies in Ghana is essentially a combination of statutory law, subsidiary legislation and regulatory guidelines and directives. 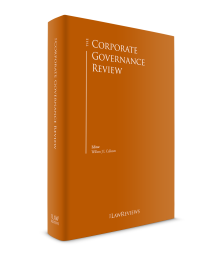 The Corporate Governance Code does not have the force of law and is merely used as a benchmark for assessing the governance practices of listed companies and companies that operate within the securities industry. However, some regulators in the financial services sector have developed detailed mandatory guidelines on governance structures and control systems for regulated companies, non-compliance with which could have adverse implications on their licences. For instance, the National Insurance Commission has developed governance and risk management guidelines for both life and non-life insurers. The detailed framework provides the minimum standards for the corporate governance structures and internal control systems that insurers must comply with. This includes board composition, mandatory board committees and their composition, their mandate and responsibilities, audit and risk control functions, etc. Another sector that has seen steady development in corporate governance practices is the banking sector. The Bank of Ghana (BoG) issues notices and directives on governance structures and control systems for banks and specialised deposit taking institutions, in line with the corporate governance principles of the Basel Committee on Banking Supervision. The BoG is currently in the process of developing a comprehensive corporate governance code for the banking industry. Other than the Corporate Governance Code, compliance with the various laws and regulations relevant to listed companies is strictly compulsory; subject to certain special circumstances when waivers in respect of some specific provisions or requirements may be granted by the appropriate supervisory body under conditions imposed by the supervisory body. Compliance with the Corporate Governance Code is entirely voluntary, and listed companies are not obliged to explain their reasons for not complying with the best practices identified therein. Increasing multinational interests in Ghanaian companies has led to a growing advocacy for the adoption of international standards and best practices in the governance of Ghanaian companies. Companies with foreign shareholders, particularly institutional investors with significant or controlling shareholding, are greatly influenced by the corporate governance practices of these investors. Government-led efforts aimed at developing mandatory corporate governance rules for Ghanaian companies are largely sector- or industry-driven, and this has resulted in regulators developing sector-specific corporate governance guidelines or manuals. A national corporate social responsibility policy, which seeks to change the traditional focus of corporate social responsibility activities on charity, was also launched in 2016. Ghanaian boards do not have a two-tier structure. The normal practice is for a single-tier board, made up of executive and non-executive directors, to collectively manage the business of the company. The company’s regulations may prescribe a minimum or maximum number of directors, subject to the requirement under the Companies Act for every company to have at least two directors and for at least one director to be present in Ghana at all times. Public companies, whose regulations authorise cumulative voting in the appointment of directors, are required to have a minimum of three directors on their board. In addition to any other disqualifications specified under the regulations of a company, infants, body corporates, persons of unsound mind, fraudulent persons and undischarged bankrupts are disqualified from being appointed to the board. Non-executive directors must make up at least 50 per cent of the board of a listed company and independent directors shall be at least two or constitute approximately 25 per cent of the board. Sector-specific legislation and regulations may also specify additional requirements relating to the competence and qualifications of members of the board, as well as representation of non-executive or independent directors on the board. The Corporate Governance Code recommends a board of between eight to 16 members that has a balanced representation of executive and non-executive directors, and at least one-third being independent. An act of the board of directors or the managing director of the company, while carrying on the usual business of the company is regarded as an act of the company itself, and the company shall bear civil and criminal liability for that act unless it can be shown that the person with whom the board or managing director was dealing with had actual or constructive knowledge at the time of the transaction that the managing director or the board did not have the power to act in the transaction. A single director, other than the managing director, can only represent the company with the board’s express or implicit approval. The board is responsible for directing and administering the business of the company. In managing the business of the company, the board may not exceed the powers granted to it under the Companies Act or the company’s regulations or exercise those powers for a purpose different from that for which they were granted, whether or not it may be in the best interests of the company to do so. The board has a legal duty to not act on the directions or instructions of any other person and to ensure that the affairs of the company are being managed in accordance with law and the company’s regulations. In filling a casual vacancy on the board, the directors have a duty to satisfy themselves that any person they intend appointing to the vacant office is suitable and has the requisite integrity to be a director of the company. Unless otherwise specified by the company’s regulations, the board may elect one of their number to act as chairman at their meetings for a specified period. Subject to a contrary provision in the regulations of the company, the chairman has a casting vote in the event of an equality of votes during the decision-making process of the board and also presides at meetings of shareholders. The board chair is required to sign minutes of board and shareholders meetings at the end of the meeting or on the next adjourned date, and if duly signed, such minutes are prima facie deemed to be a true record of the proceedings at the meeting. Audited accounts and balance sheets of companies may be signed by any two directors with the approval of the board. Regulatory filings may also be signed by the company secretary and any director of the company. The board of directors may delegate any of their powers to a committee consisting of one or more of their number. The board may also appoint one or more directors to the office of managing director and entrust any of the powers exercisable by the board to the managing director or managing directors, subject to any restrictions or conditions that they deem fit. The delegation of its responsibilities to a committee or managing director does not absolve the remaining directors of any liability that may arise in the performance of the delegated duties by the committee or managing director. Directors must, therefore, ensure that they have proper oversight over their delegated responsibilities. The Companies Act provides for the executive office of managing director of the company. The managing director is appointed from among the board and may exercise all or any of the powers of the board that the board may confer. There is no requirement under the Companies Act that the role of board chair and managing director be separately performed by two different directors. However, the Corporate Governance Code recommends a separation of the two roles, and it is standard practice for the two positions to be occupied by different persons. The chair’s traditional role is to act as leader of the board and to chair board and shareholder meetings. Outside general meetings of the company, direct communications by directors, the chair included, with shareholders are not common, although this is not prohibited under the Companies Act. Fees and other remuneration payable to directors, in their capacity as directors, may only be determined by the ordinary resolution of members. The remuneration of executive directors, in respect of the executive positions that they hold at the company may be fixed by the board as part of the board’s terms of employment; however, these terms must be approved by ordinary resolution of the members of the company prior to any payments being made. Unless, the company’s regulation provide otherwise, the board has the power to determine the remuneration of senior management. Directors’ remuneration may not be paid free of income-tax or be calculated by reference to or varying with the amount of income tax payable by the directors. The board may exercise any of its powers through committees consisting of one or more of their number. The Corporate Governance Code recommends the constitution of at least an audit committee and a remuneration committee, composed of a majority of non-executive directors. It also advocates the inclusion of non-directors on whatever committees that the board considers appropriate in order to effectively discharge its functions, so long as the responsibility for decision making remains with the directors on the committee. Directors of a listed company are guided by the tenets of the SEC’s Takeover Code. The board of a target company is required to make a recommendation to shareholders on the acceptance or rejection of any takeover offers made by third parties. The board must appoint an independent adviser upon receipt of a takeover offer, who shall advice the board and the company on all relevant issues and information relating to the takeover for the purpose of enabling shareholders make an informed assessment of the takeover offer. Under the Companies Act, no distinction is made between executive or non-executive directors of the company, with respect to their duties and liabilities. Directors’ duties and liabilities are the same irrespective of whether they are non-executive directors or otherwise. In addition, the directors may exercise any power that has not been reserved for the members under the Companies Act or the company’s regulations. Further, to the extent that a person is described as a director, with or without a qualifying title, that person is deemed to be a director, whose role and involvement is expected to be the same as all other directors of the company. Companies are required to circulate information to all directors, including non-executive directors, at the same time. Non-executive directors are not prohibited from conducting on-site visits of subsidiaries of the company. They are also at liberty to freely interact with lower management. In practice, it is usual, especially at the board committee level, for directors to work directly with the relevant management team to achieve their mandate. For example, directors on a risk subcommittee of the board may freely interact with the head of finance or other relevant department of the company and may make enquiries with respect to reports or other information submitted to the board or board committee. The generally applicable legal duties and best practice for directors in Ghana are summed up in Sections 203 to 208 of the Companies Act. Essentially, a director of a company is deemed to stand in a fiduciary relationship towards the company and must at all times observe the utmost good faith towards the company whether in a transaction on behalf of the company or with it. Further, the actions of a director must at all times be what he or she believes is in the best interests of the company, in order to preserve its assets and further its business and the purpose for which it was formed. Directors must act in a faithful, diligent and careful manner in which an ordinarily skilful director would be expected to act. They may not place themselves in any position in which their duty to the company conflicts with their personal interests. A director is liable to compensate the company for any loss that it suffers as a result of a breach of the director’s duties to the company. Directors must also account to the company for any profits they make from transactions involving a breach of their duties to the company. Contracts entered into between the company and a director who acts in breach of his or her duty to the company are subject to rescission. Directors are appointed by ordinary resolution of members. The regulations of a company may validly provide for the appointment of one or more directors by a class of shareholders, debenture holders, creditors, employees or any other person. The board may also appoint a director to fill a casual vacancy on the board. A director of a private company shall continue in office until he or she vacates the office or is removed in accordance with law and the company’s regulations. Directors of public companies, except the managing director, are subject to retirement by rotation – usually one-third of the board must retire every year. There are formal processes and default rules regulating the appointment and removal of directors of both private and public companies. With respect to public companies limited by shares, a resolution for the appointment of two or more directors shall not be moved as a single resolution except with unanimous approval of the shareholders. Nonetheless, the company’s regulations may authorise cumulative voting for appointing directors. Directors are prohibited from putting themselves in situations where a conflict arises between their duty to the company and their own personal interests or the interests of other persons. In very limited circumstances, the company may consent to a conflict situation following full disclosure of all relevant information to the board or members in general meeting. These include instances where a director is directly or indirectly personally interested in a transaction entered into by the company or in a competing business with that of the company, or intends to use for personal advantage money or property belonging to the company or confidential information obtained in his or her capacity as a director of the company. Sector-specific laws may also require directors to disclose conflict situations to the company. For instance, directors of banks, specialised deposit-taking institutions or financial holding companies must declare on an annual basis any personal interests and business or investment interests that they may have in the company, and notify their board in the event of any changes to that declaration. There are no provisions regulating the manner of interaction between executive and non-executive directors. In practice, directors cooperate fully with each other for the purpose of ensuring the effective management of the company. Comprehensive disclosure obligations, both periodic and event-driven, are imposed on listed companies especially under the Companies Act, GSE Listing Rules and the SEC Act and Regulations. Shareholders and directors of listed companies also have significant disclosure obligations. Generally, companies are required to file, with the Registrar of Companies, annual and other periodic returns of particulars of the company, including when there is change on the board of directors, of company secretary or of auditors. Annual returns must state the current position of the company with regard to such information as its name, address, authorised business, directors and secretary, subsidiaries and shareholding structure, and are required to be filed within 42 days of the day on which the company’s financial statements, accounts and reports are circulated to members and debenture holders. Under the GSE’s rules, the disclosure obligations require that a listed company makes full and timely disclosure to the public of all information necessary to enable an investor make informed investment decisions or information that is likely to have a material effect on the market activity and price of its listed securities. Disclosure of significant corporate events and price-sensitive information cannot be made on a selective basis. Corporate disclosure covers periodic financial reporting and prompt announcements of changes in management, control or capital investment plans of the company, labour or contractor disputes, insolvency events, issuance of additional securities, restructuring of the company, default on loans, imposition of fines or sanctions by regulators, profits or revenue-related matters, acquisition of significant interests in another company etc. If considered material by the board, a listed company shall also immediately disclose the acquisition or loss of a contract, borrowing of funds by the company, purchase or sale of an asset, changes in corporate purpose, judicial and quasi-judicial actions initiated by or against the company and other material events. Disclosure of material information may be withheld by the company in very limited circumstances, such as where immediate disclosure would be prejudicial to the company’s ability to pursue its corporate objectives, where the facts requiring disclosure are in a state of flux and a more appropriate moment for disclosure is imminent and where negotiations regarding the subject matter for disclosure are ongoing and an agreement-in-principle has not yet been reached. A listed company that withholds the disclosure of material information must ensure that strict confidentiality is maintained, and the company shall immediately disclose the relevant facts where rumours about the withheld information surface. Shareholders of listed companies are required to disclose to the public the acquisition or disposal of any interest in the company that causes the shareholder’s stake in the company to attain, exceed or fall below each 5 per cent threshold starting from 10 per cent up to 50 per cent plus one share. This announcement must be made within 48 hours of the transaction and shall indicate the number of shares sold or purchased and the percentage of the share capital and votes in the company held by the shareholder after the transaction. A director of a listed company has a duty to disclose to the members of the company, the terms of any payment made or proposed to be made to that director in connection with a takeover bid by any person. The nature and extent of the holdings of a director, in respect of the company’s securities or the securities of an associated company, must also be disclosed to the company and recorded in a register to be produced at the company’s general meetings and made available for inspection by members. the aggregate amount of monies due to the company or an associated company from its officers at the end of the financial year, as well as the maximum amount that was due it from officers at any time during the financial year. Auditors play a fundamental role in ensuring the accountability of listed companies. They are not regarded as officers or agents of the company, but stand in a fiduciary relationship to the members of the company. Hence, they are required to act with due care, skill and diligence and may incur liability for a breach of their duties to the company. To safeguard the independence of auditors, a person does not qualify to be an auditor of a listed company if that person is an officer of the company or an associated company, or is a partner of or in the employment of an officer of the company or an associated company. The appointment of a person as an auditor of a listed company must also be approved by the SEC. Duly appointed auditors may serve a maximum term of six years and shall only be re-eligible for appointment following a cooling-off period of at least five years. Auditors are entitled to attend general meetings of the company, to receive notices and other communication relating to a general meeting and to be heard at a general meeting on any part of the business of that meeting that concerns them in their role as auditors of the company. Auditors of a company are guaranteed a right of access at all times to the books and accounts of the company and may require any information that they deem necessary from officers of the company in order to fully carry out their functions. In the area of corporate disclosure, Ghana operates a prescriptive regulatory model. Therefore, all disclosure obligations under the Listing Rules, the Takeover Code and the Companies Act are mandatory. Where, on very limited and specific grounds, a listed company wishes to be exempt from the application of a particular obligation, it must seek and be granted a waiver from the appropriate regulator before taking any action that would result in non-compliance with a specific obligation. One-on-one meetings between directors and shareholders are not common. It is normal practice in the financial services industry to have a risk subcommittee of the board of directors, as well as a risk department with a functional head. In other sectors, the appointment of a special risk officer or constitution of a risk committee may be necessary depending on the business of the company and its exposure to various risks in the sector. The risk management culture of the company is usually dictated by its risk policy and the general attitude and practices of top-level management. Companies whose activities require anti-money laundering (AML) monitoring are required to formulate AML policies and train and monitor their employees for compliance with the internal AML policy and applicable AML laws. Under the AML Act and Regulations, a designated AML compliance officer must be appointed to report suspicious transactions to regulatory authorities. Companies also adopt appropriate policies on bribery and corruption, data protection and other areas of risk relevant to their operations. In addition, the Corporate Governance Code recommends the adoption of a code of ethics and statement of business practices. Legally, the board’s overriding obligation to always act in the best interests of the company as a whole may impose an implicit obligation on directors to consider other factors beyond the maximisation of shareholder value. The Companies Act provides that in deciding whether a particular transaction or course of action is in the best interests of the company as a whole, the directors may consider the interests of not just shareholders, but also employees and creditors. Beyond employees and creditors, there is no legal obligation, express or implied, to consider the interests of any other stakeholders. A national corporate social responsibility (CSR) policy was launched in 2016. Compliance with the policy, which focuses on human rights, employee-welfare, environment and safety, accountability and transparency, ethical practices, etc., is entirely voluntary. In practice, however, CSR activities of Ghanaian companies and multinationals tend to focus on philanthropy and charity. In this regard, shareholder approval must be obtained by the directors of a company before any voluntary contributions to charitable or other funds, in excess of 2 per cent of the income surplus, can be made. The regulations may also provide for different classes of shares by attaching special rights, including voting rights, to those shares. Each equity share in a company carries the right to one vote for each share, notwithstanding any contrary provision in the regulations of the company. Preference shares shall also carry the right to one vote per share; except that in certain circumstances relating to a variation of the rights of their holders, winding up of the company, replacement of auditors etc., preference shares may carry the right to more than one vote for each share. The regulations of a company may validly provide for the suspension of a shareholder’s voting rights in respect of shares on which there are unpaid calls. Directors, collectively and individually, have a duty to act in accordance with what they believe to be in the best interests of the company and are not bound to follow the directions or recommendations of shareholders. This restricts the power of shareholders to influence the board, other than in respect of the holding of extraordinary general meetings – directors must proceed to hold a meeting upon the requisition by shareholders holding at least 5 per cent of the total voting rights in a public company or 10 per cent of the total voting rights in a private company. acting for the purpose of ratification of acts of the directors. Shareholders take decisions by voting in general meeting and then passing resolutions to give effect to their decisions. In spite of this, a dissenting shareholder has the right to pursue an action in court if he or she is of the opinion that any decision, action or transaction of the company is illegal, irregular, ultra vires or contravenes the provisions of the regulations of the company. There is no legal mechanism that expressly permits the implementation of loyalty programmes for long-term shareholders. Given the underlying principle of one-share one-vote in Ghanaian company law, equity shareholders cannot be granted additional votes for their existing equity shares, without a corresponding and proportionate increase in the number of equity shares that they hold in the company. However, it would be possible to issue preference shares and attach additional voting rights to those shares. allotment of shares to executive directors as part of an employee share scheme. Controlling shareholders do not have any special responsibilities to the company, other than the duty shared by all shareholders to pay any outstanding liability on shares in the event of a call being made and on the winding-up of the company. Institutional investors also do not owe any obligations to the company, although owing to recent advocacy for improved corporate governance methods, institutional investors are encouraged to increase their level of engagement with, and monitoring of, the board and management. There is no code of best practice for shareholders. Shareholders must approve the amount of remuneration payable to directors in their capacities as directors or as executive officers of the company. Shareholders are mandated to commence legal action in the name of the company if the directors refuse or neglect to do so. A shareholder may bring an action against a third party or against a director who acts in breach of his or her duty to the company. Actions brought by a shareholder to enforce an obligation owed under the regulations of the company to that shareholder and any other shareholders that shareholder shall sue in a representative capacity for himself or herself and on behalf of any others affected by the act complained about, and the shareholder is not required to seek the consent and approval of any other affected shareholder before doing so. Shareholders are not prohibited from soliciting proxy votes prior to a general meeting of the company. Proxy battles are, however, not very common in Ghana. The Companies Act allows a shareholder to propose a resolution on any matter and to provide to the company a statement on the proposed resolution for circulation to persons entitled to attend and vote at meetings. Shareholders are also permitted to provide statements on any issue already on the agenda of a proposed meeting for circulation to all shareholders prior to the holding of the meeting. These provisions allow shareholders to engage the board on issues that directors may for various reasons want to avoid discussing. They encourage shareholders to be proactive and to monitor and hold management accountable. The provisions of the Companies Act, the Listing Rules and the Takeover Code are generally non-facilitative of the use of most defensive mechanisms that a company may use to protect itself from a hostile takeover. Under the Takeover Code, the target company in a takeover is precluded from issuing new shares or granting options over unissued shares upon receipt of a takeover offer or if the board has reason to believe that a takeover of the company is imminent. This prevents a target company from embarking on a shareholder rights plan as a means of thwarting a hostile takeover. The use of voting rights plans are also precluded because although preferential shareholders may be issued with special voting rights that entitle them to more than one vote per share, these rights are exercisable in very limited circumstances prescribed under the Companies Act and voting against a hostile takeover is not one of those circumstances. The use of staggered boards as a takeover defence is also not effective as under the Companies Act, the shareholders of a company may remove directors from the board at any time, and hence a person that gains control of a company through a hostile takeover is at liberty to change the entire board upon completion of the takeover. On the other hand, the Takeover Code permits a competing offer to be made during the pendency of a takeover offer by another person, thus permitting the use of the white-knight defence by a board in the event of a hostile takeover. The reporting obligations of the company relate mainly to periodic financial reporting and event-driven announcements, which must be made to all shareholders within certain timelines or on the occurrence of certain events discussed above. Selective disclosure of price-sensitive information to shareholders, individually or collectively, is not permitted under the Listing Rules. Listed companies must ensure that shareholders and the general investing public have simultaneous and equal access to the same information. Meetings and communications with individual shareholders following the public disclosure of price sensitive information is not prohibited. Thus, it is possible for the board to approach and engage particularly influential shareholders to obtain their views and court their approval on certain key issues that are in the public domain before proposing resolutions on them at shareholders meetings. All shareholders are entitled to receive the same information at the same time. The disclosure of price-sensitive information to any person, prior to its release to the public automatically precludes that person from dealing in any securities of a listed company. Standstill agreements are purely contractual and may be made between the company and its controlling shareholders, particularly, in respect of the disposal of large blocks of control shares to outsiders. As long as they do not contain any unlawful provisions, they are enforceable. Shareholders are entitled to receive information at least 21 days before shareholders meetings. The regulations of the company may provide for longer notice periods. Proxy solicitation is permitted, although it is not widely used in practice. To some extent, shareholders are able to give their views in advance of meetings. The Companies Act permits shareholders to send statements to the company for circulation to shareholders on any business to be dealt with at a proposed meeting. This is usually circulated with the notice of the meeting, or soon thereafter, at the shareholder’s cost. There are no relevant issues regarding large blocks of shareholders. The Ghanaian corporate governance space is in a burgeoning state. The existence of mandatory rules on certain corporate governance issues ensure that minimum standards are met by companies. However, owing to the voluntary nature of the Corporate Governance Code, compliance with other important governance practices, in accordance with widely recognised international standards has been slow. 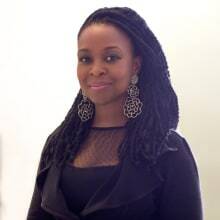 With the recent failure of two Ghanaian indigenous banks, the shutdown by regulators of some microfinance institutions and the hostile takeover of the country’s premier mortgage finance institution by a Caribbean banking conglomerate, interest in the adoption of policies that protect wider stakeholder interests in Ghanaian companies has been generated. With the laissez-faire attitudes of most individual shareholders, the active engagement and involvement of institutional investors is critical in shaping the governance culture of local companies. 1 NanaAma Botchway and Abla Masoperh are senior counsels and Akosua Achiaa Akobour Debrah and Nana Abena Henewaa Busumtwi are associates at n dowuona & company.